1773 The Old Kampe Post Office is established; remains as the oldest landmark of Highland Lakes near the juncture of Canistear and Cherry Ridge Roads; predates most other structures by at least a century. This had been known as “John Smith’s house,” “Marsh’s house,” “Forgerson’s house,” and “Hendrick Young’s house,” but was perhaps best known as the Kampe Post Office. 1785 Canistear Road, probably the first road in the area, was known to be in use by this time, and remained unpaved in the 1930s. Elijah Utter Road, which passed through the area now known as Hidden Valley, no longer exists, but it was another road up the Mountain. 1860 Breakneck Road is opened but would remain unpaved for many years. 1928 Seckler & Shepperd incorporate and develop Lake Wallkill. 1933 The Old Vernon-Stockholm Road — now Highland Lakes Road — emerges as the most passable of all three dirt roads leading to Highland Lakes in the early 1930s. Seckler & Shepperd buy the first 100 acres on top of the mountain near where Highland Lakes will eventually be. 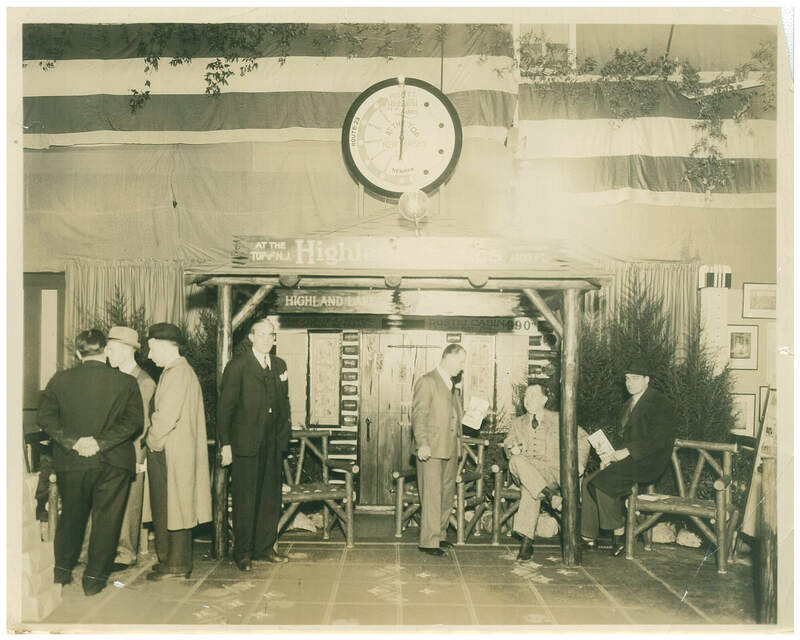 1935A new development corporation owned by John Seckler, Clayton Shepperd, William Dailey and Clarkson Potter is established and is named Highland Lakes, Inc. The new development company purchases additional lands abutting the original 100 acres, including the Fedden Corporation property of 600 acres, the Marsh tract (400 acres), and the Rutherford tract (130 acres). Construction of Highland Lakes begins. Seckler & Shepperd build the General Store located outside the boundaries of Highland Lakes. 1936 Inception of Highland Lakes as a summer retreat. 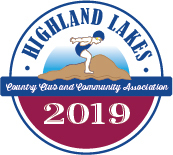 From the outset, all who bought property at Highland Lakes were required also to be members of the Highland Lakes Country Club and Community Association. Construction started with access from Highland Lakes Road. Cottages were built as modest second homes. 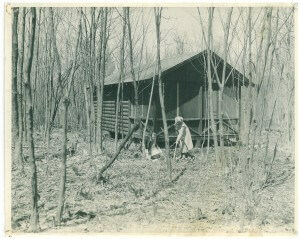 Original log cabins, or frame cottages, were about 600 square feet with a stone fireplace at a cost of $1,500. Original dues were $12.00 per year. Water from Highland Lakes Improvement Company was also $12.00 per season. The average Vernon Township taxes were about $30.00 a year. The original Clubhouse was the large hall next to the old Seckler & Shepperd office that was demolished in 1997. 1946 Start of the “Little League” softball program. 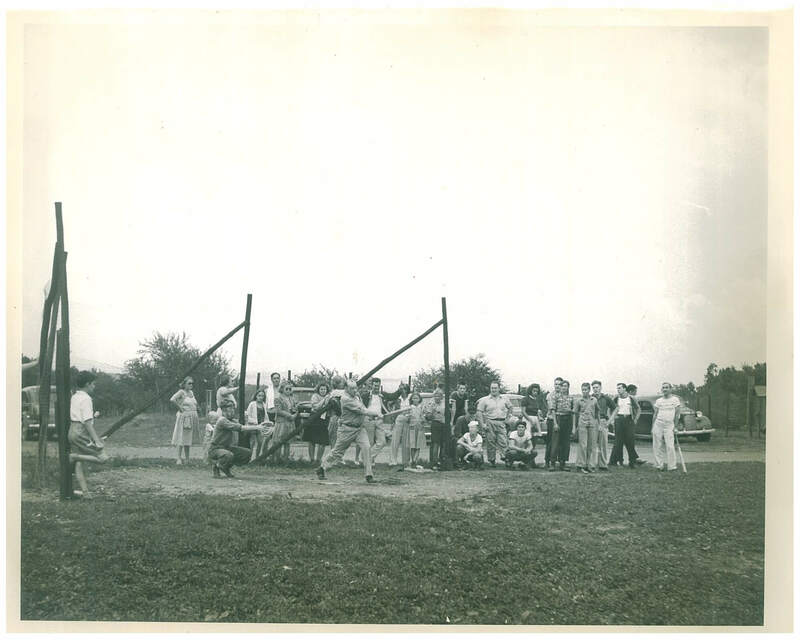 1949 Major expansion of Highland Lakes is underway. The dam that controls the waters at Indian Lake (Lake #3), had been completed and the lake is beginning to fill. The first issue of the Newsette is printed. 1950 The formally established swimming program schedules new swim races and provides first fixed-in-place swim lanes and floating docks. 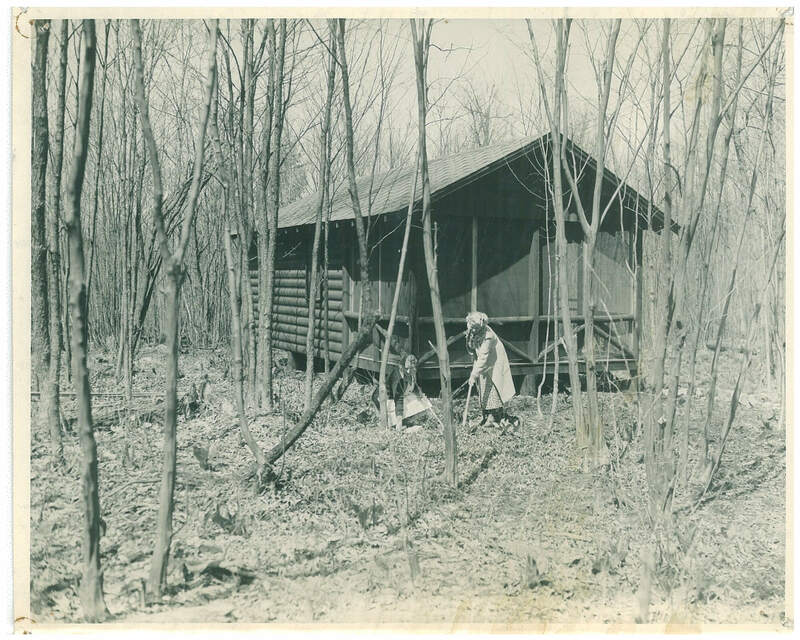 1951 The first Highland Lakes Post Office is established in a little cabin near Beach 1. Between 1906-1920, Highland Lakes area mail was delivered three times a week by horseback; Building of Lake #4, Upper East Highland Lake, starts. 1958 The new Clubhouse is built and presented to the HLCC membership by John Seckler & Clayton Shepperd. 1959 S. Clayton Shepperd dies. John Seckler becomes sole owner of Seckler & Shepperd, Inc., Highland Lakes, Inc., and Highland Lakes Improvement Company. The Club Charter is changed. John Seckler and the other three Trustees withdraw and are replaced by the first Voting Board, five new Officers and 11 Trustees. From here on, the Club, under the leadership of elected representatives chosen from 11 geographic sections would be responsible for all activities and would have complete control of the dues collected. 1961 Highland Lakes Inc. starts to build Lake #5, Upper West Highland Lake. 1962 Membership body ratifies new By-Laws. Agreement reached with John Seckler wherein he transfers ownership of the Club-operated properties to the Club. The properties deeded to the Club in trust were the two ballfields, tennis courts (there were two at the time), all beaches, the Clubhouse and surrounding property, and the private roads. 1963 Beginning of the Highland Lakes Fire Department. 1964 Club is recognized as a non-profit corporation. The Vernon Township Ambulance Corps is chartered. 1967 Club purchases the five lakes and the lagoon from Seckler & Shepperd for about $130,000. 1970 Trend begins for conversions from seasonal to year-round homes. 1974 A twelfth geographic section of Highland Lakes is created and a twelfth Section Trustee is added to the Voting Board. 1977 Highland Lakes, Inc. and Seckler & Shepperd Inc. merge and become Seckler & Shepperd, Inc.
1983 (April 28) Chancery Division of New Jersey Superior Court finds that the membership deed covenants that benefit the Club are valid, enforceable and real, and that membership obligation runs with the land despite the absence of covenant language in some particular deeds. (October 27) The Final Judgment of the Court imposes a dues and assessment obligation for the years 1984 and thereafter, without exception. 1984 (December 26) The Appellate Division of the Superior Court substantially affirms the lower Court’s decision but modifies the judgment to require that “fair share” obligations of delinquent members during the 1976 to 1983 period are uniformly applied. The Final Judgment is modified to agree with the decision of the Appellate Division and is entered on record, requiring all owners of property in the Highland Lakes community to pay dues and assessments in full in 1984 and thereafter. 1985 Amenities added and many Club facility improvements completed, including major improvements to the dam on Upper Highland Lake (Lake #1), expansion of tennis facilities, installation of new swim lanes with grandstand seating, new boat docks, upgrading beaches and new recreation areas, road repairs and major road reconstruction projects, and siltation damage control measures. 1986 Highland Lakes celebrates its 50th anniversary, with various events as well as publication of its anniversary book (50 Years of Happiness: 1936-1986) and the presentation by the Women’s Auxiliary of the 50th Anniversary Quilt. Completion of the Breakneck Road sidewalk by Vernon, making walking from Beach 1 to the Clubhouse and from there to the intersection of Canistear Road, safe for all. 1988 Engineering investigations begin of the Club’s five man-made dams. Club eliminates its maintenance operation, removing trucks, backhoes, and loaders from Clubhouse parking area, instead contracting for services. Computer purchased and programs written and installed to manage membership records and accounts. 1989 Removal of private docks from Club property is begun. Club embarks on dock acquisition program, creating or replacing approximately 150 docking spaces. Club completes Kewaskum and Acquanock Roads after developer defaults on performance bond. 1990 New boat racks and boat access areas created at Clubhouse Park. Court finds that property at intersection of Breakneck and Canistear Roads, though part of Highland Lakes, may be developed commercially. New playground equipment at Clubhouse Park purchased; play areas relocated and brought into compliance with new safety standards. 1991 Beach 5 area on Lake #4 completely re-done, with drainage, parking and beach improvements. Voting Board establishes Reserve Fund, for collection of dues and assessments in arrears; year-round water quality monitoring initiated. 1992 New lighting and sound system installed throughout Clubhouse. Major road reconstruction project on Oneota, Canadawa Road, and Lakeside Drive West completed. After series of meetings, it is determined that summer Club sanitation services would remain the same, neither being eliminated nor expanded. Club initiates $60 annual dam assessment to raise funds for the rehabilitation of the Club’s five dams. 1993 Membership adopts By-Law changes permitting the Voting Board, without membership approval, to acquire vacant land, to borrow money and to have liens placed on Club property, both with certain restrictions. Court finds that Club dues and assessments are not dismissed when a foreclosure occurs. Computer network in office established. Club opposes plans for construction of mini-mall at Beach 1 area. 1994 Club prevails in litigation that challenged the Club’s requirements that developers — not the membership — pay for improvement of “paper” and “unimproved” roads. Vernon Township sets aside $55,000 for improvements to Old Homestead Drive intersection with Highland Lakes Road. Club purchases lot surrounding tennis courts at Canistear Recreation Area. Architect retained for improvements to Clubhouse. 1995 Rental of Clubhouse by members for family gatherings is approved. Steering Committee recommends construction of the “Lake Room,” which is approved by the membership at the August Annual Meeting. Arnold Eckhart Sailing Center is dedicated. Club applies for notification status under Megan’s Law. Work commences on Lake #4 dam. Lake Room Partner Program established. Club receives one of eight loans statewide for dam restoration (Main Lake). 1996 To control goose population, Club begins spring egg addling. Lake #4 dam work completed in late spring. Lake #5 dam work commences in the summer. Club receives variances from Vernon Township for construction of Lake Room and Community Announcement Sign. 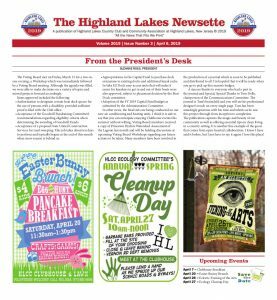 First Highland Lakes Membership Directory is published by Communications Committee. New aeration system in Lake #1 is installed. Lake Room construction contract is awarded in the fall. Communications Committee completes comprehensive survey of the membership. 1997 Members vote to acquire 90 acres and the Post Office site at Beach 1 from Seckler and Shepperd. Seckler and Shepperd partnerships created. Demolition of former Seckler and Shepperd building. Reconstruction of 1,100 feet of Old Homestead Drive. Three-year negotiations completed with Vernon Township for fair reimbursement of snow plowing costs as required by NJ law. LakeViews, a newsletter, mailed to all members, premieres. Club goes digital on the internet with its website: www.hlcc.org. The new Lake Room construction is completed. 1998 Kitchen installed in renovated Clubhouse. Preliminary plans for redesign of Beach 1 area developed. Steel sheet piles added to embankments at Lake #4 and Lake #5 dams. Club is determined to be a secured creditor in bankruptcies, preserving ability to collect delinquent dues and assessments. Negotiations begin with United States Postal Service for sale of Club property for new Post Office, approved by membership at the August, 1998 Annual Meeting. Club begins program to acquire vacant land by acquiring four lots from Vernon Township through the foreclosure process. Clubhouse gets a face-lift: is better insulated, windows are replaced and is re-sided. 1999 The Club and Vernon Township accept $588,000 low interest loan from the State of New Jersey for the reconstruction of the Main Lake Dam. Main Lake receives first-time application of herbicide SONAR for multi-year control of nuisance eurasian milfoil. Postal Service revises its plans for new Post Office, requiring members to approve sale of additional land, approved at the August, 1999 Annual Meeting. New Jersey Appellate Court finds that delinquent Club dues and assessments are not discharged through foreclosure. Long-awaited takeover of bankrupt Highland Lakes Water Company by Midlantic Utilities is accomplished. Club membership approves investment of Club funds in money market accounts at the August, 1999 Annual Meeting. 2000 Boat Livery Program created. Veterans Memorial site designated at Clubhouse. Subdivision of Club land and sale to United States Postal Service completed. Voting Board establishes committee to explore formation of purchasing cooperatives. First in a series of inspections of the Club’s three bridges is authorized. Discount for low-income senior citizens on the Club’s dues is doubled. 2001 Main Lake dam reconstruction completed with a low-interest loan of $588,060 from the State of New Jersey. New Swim Lane docks are installed. Seating area at swim lanes constructed. Renovations completed to maintenance building. Automatic external defibrillator is donated to Highland Lakes Security by Newton Memorial Hospital. Small building at Beach 1 site (original mail room of 1951) is demolished. New docks and walkways are installed on the Main Lake Dam. Conceptual plans for renovation of Beach 1 area approved. 2002 New Post Office opens on land sold by the Club. Members grant authority to purchase vacant land from Vernon Township formerly owned by Seckler & Shepperd. Site plan approval for Beach 1 received from Planning Board. Stormwater management grant received by Vernon Township for Lake #1 neighborhood area. Beach 1 special assessment approved. Beach 1 Partnership Program established, generating $250,000 for Beach 1 renovation project. New swim floats purchased for all beaches. Vernon installs the walking strip on Canistear Road, linking the split between the two sections of East Lakeshore Road and making this section safer for pedestrians. 2003 Three bridges on Island Road and Island Drive rehabilitated. Loan is secured from Lakeland Bank for the Beach 1 rehabilitation. Voting Board extends discount program to permanently disabled residents. Plans finalized for renovations to the former post office building at Beach 1. Formation of the Highland Lakes Foundation, Inc., a charitable, not-for-profit corporation, to undertake cooperative purchasing programs, is approved by the Voting Board. 2004 Work begins on the rehabilitation of the former post office building and the Beach 1 recreation site; Non-profit youth groups are authorized to rent the Clubhouse on a trial basis; Liaison Committee is formed to maintain communications with Vernon Township officials. 2005 The renovated Beach 1 park and recreation site opens June. Lake 1 dam rehabilitation completed with a low-interest loan of $311,978 from the State of New Jersey ; Voting Board establishes The Goodwill Fund, permitting voluntary contributions from members to assist Highland Lakes families who have experienced severe hardships. A Holiday Card program, utilizing artwork by Highland Lakes professional artists, is initiated by the Communications Committee, to bolster fund-raising for the Goodwill Fund. 2006 Amendment to By-Laws approved at the Annual Meeting reducing the quorum requirement from 10 percent to 5 percent. Enhanced aeration system installed in Lake #4. New Jersey Supreme Court determines that a purchaser of property in Highland Lakes is obligated to pay moneys that should have been paid in the past, including arrears owed by any prior owner. The Voting Board adopts an Alternative Dispute Resolution Policy. 2007 Club hosts Candidate’s Debate for Vernon Town Council seats moderated by the League of Women Voters. Club participates in the USEPA’s Survey of the Nation’s Lakes. Due to construction at the Vernon Township High School, the Club permits use of the Beach 1 tennis courts for high school tennis. Discussions commence with Vernon Township for safety improvements to the crosswalk at the intersection of Breakneck Road and Highland Lakes Road. Voting Board approves annual Walk for Cystic Fibrosis. Beach 3 playground equipment is upgraded to meet playground safety standards. New rule established by Voting Board prohibiting personal water vehicles. 2008 Play equipment at Canistear Park and the Clubhouse Park upgraded to meet playground safety standards. Storage tube system implemented for junior sailors at Eckhart Sailing Center. Voting Board submits comments on the Regional Master Plan to the New Jersey Highlands Council assessing the Act’s impact on the Highland Lakes community. Membership survey initiated by Communications Committee. Discussions commence on the installation of a large aeration system for the Main Lake. Highland Lakes, and other areas in Vernon, suffer from an unprecedented ice storm, knocking out power for days throughout the community, and blocking most public and private roads. 2009 Voting Board provides $75,000 from the Operating Reserve account to pay for the clean-up from the December, 2008 ice storm, and to trim damaged trees along the roadways. Project lasts three months and costs approach $100,000. Indian Lake Dam, the last of the Club’s five dams to be rehabilitated, is financed with a $350,000 loan from the State of New Jersey. Traffic safety and speed monitoring study implemented. Goodwill Fundraising Committee established. New heating system installed in the Clubhouse. Revisions to certain Club rules adopted, including financial penalties. Road Committee, after reviewing traffic study, recommends installation of experimental speed humps. Club successfully appeals excessive property valuations that resulted from Vernon Township’s revaluation. First Community Yard Sale, organized by the Goodwill Fundraising Committee, is held in July. 2010 The Club undertook a major upgrade of its Main Lake/Lake #2 aeration systems with the installation of six compressors, 40 diffusers, and over 25,000 feet of air line at three locations. Designed to avoid the cycle of stratification and de-stratification, the preliminary conclusion was that the new system maintained oxygen levels throughout the water column and avoided the buildup of surface scum at the south end of the Main Lake. A dispute developed between Vernon’s private communities and Vernon Township over the methodology used in providing for the reimbursement of expenses related to the removal of snow, ice and other obstructions as required by the Municipal Services Act. 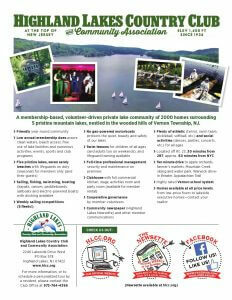 The Vernon Township Association of Private Communities was formed to represent the interests of Barry Lakes, Hidden Valley, Highland Lakes, Lake Glenwood, Lake Panorama, Lake Wallkill and Scenic Lakes in a dispute that may result in a reduction of hundreds of thousands of dollars in payments to the communities. In anticipation of emerging battery technology, the Club amended its rules to make it clear that electric-powered personal water craft such as jet skis are prohibited on the lakes at all times. The rehabilitation of the Indian Lake dam was completed at an approximate cost of $325,000. Upon completion, all five of the Club’s dams comply fully with the New Jersey Safe Dam Act. Permission was granted to Tennessee Gas Pipeline Company to survey Highland Lakes as part of its environmental assessment of its Line 300 project adjacent to Highland Lakes, scheduled to start in the fall of 2010. The 75th Anniversary Committee was formed with the enthusiastic assistance of many volunteers to plan and organize the Club’s anniversary in 2011. A new Club logo commemorating the 75th Anniversary was chosen. The Goodwill Fundraising Committee received Voting Board approval for its Path To Goodwill project involving the replacement of the asphalt walkway on the lawn and at the flagpole area with monogrammed brick pavers. The Club’s newly-revised Filed Community Plan, prepared under the direction of the Planning Committee, was approved by the Voting Board and submitted to the Vernon Township Land Use Board for review and comment.